– The Second Round match between Gran Metalik and Tajiri was much the cool clash of Lucha Libre and Strong Style we anticipated. Metalik bragged about how he invented new moves in the first round and dedicated everything he had to his homeland of Mexico. Tajiri had the veteran advantage with 23 years experience and possessed some deathly buzzsaw kicks. The two traded arm drags in the midst of intense chain wrestling that led to a stalemate that got the crowd on their feet early on. Some vicious, fast-paced spots, which fit the occasion. Metalik shined some more in the air, namely with impressive tightrope walks that led into both a springboard senton to the outside and a springboard elbow drop in the middle of the ring. Tapir’s chops, kicks and strikes were his biggest assets. Technical wrestling was the big theme of this bout, as they each countered into and out of various submission maneuvers. It was all smoothly done. We would’ve thought initially that Tajiri would go over as someone who could be pushed as a veteran in search of one last “glory moment,” but they did the smarter thing and advanced Metalik, who has truly made more of a name for himself. In grand fashion, Metalik worked his way out of a submission with kicks to Tajiri’s head, which soon led to his Metalik Driver finisher and that was all she wrote. Great start. – The Second Round match between Kota Ibushi and Cedric Alexander was in many ways, an instant classic. Headed in, it was the tough-yet-humbled Alexander against the odds-on tourney favorite in Ibushi. The matchup alone sounded delectable based off both men’s similarities in attributes and styles. The two meshed from the get-go and practically never looked back. We knew we were in for something special upon the first chain wrestling exchange. It was Low Ki-Amazing Red-esque. That good. The crowd started mildly enthused and as it went on, they were almost ready to literally erupt. Daniel Bryan and Mauro Ranallo’s commentary was on point here, as Bryan emphasized the severity of Ibushi’s kicks and how Alexander worked hard to initially avoid them. Ibushi’s first kick connected for a loud smack that echoed through the Full Sail arena. Alexander got right back into it as he got down and dirty, as he chopped Ibushi in the jaw at one point. Ouch. In retaliation of that, Ibushi hit what could only be regarded as the greatest dropkick in history. Geez, there’s not much more good you could say about this match and how the two worked hard. If Alexander didn’t make his name prior to CWC, then this was his prime career moment. The crowd was glued to the floor feet-first as Alexander came close to victory several times, but Ibushi overcame the violent arsenal to win with the exploder suplex/head kick/Last Ride powerbomb combo. There’d be no other fitting ending. There were moments this felt above an ordinary wrestling match. For real. Didn’t think Sami Zayn-Shinsuke Nakamura from NXT TakeOver: Dallas could’ve been topped, but it might’ve been. Goosebumps. – Akira Tozawa-Jack Gallagher, Noam Dar-Hoho Lun and Brian Kendrick-Tony Nese were announced for next week’s show. Besides Tozawa, the other matches are toss-ups. We like that unpredictability factor. – Of course, the show’s most notable moment was the crowd’s chants of “Thank you” to Alexander and “Please Sign Cedric!” to which was responded by Triple H himself, as he stood on the stage and welcomed Cedric with open arms, as he turned back to the crowd and winked with a thumbs up. Could it be? Guess we’ll know in time, but it sounds like something that could be set. 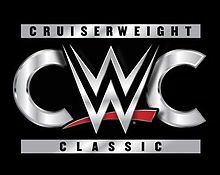 Posted on September 18, 2016, in WWE and tagged Cedric Alexander, Corey Graves, Cruiserweight Classic, Daniel Bryan, Gran Metalik, Kota Ibushi, Mauro Ranallo, Tajiri, Triple H. Bookmark the permalink. Leave a comment.